This was the other Biotherm Homme T-Pur product I’ve been using recently, I have it on now as a matter of fact. 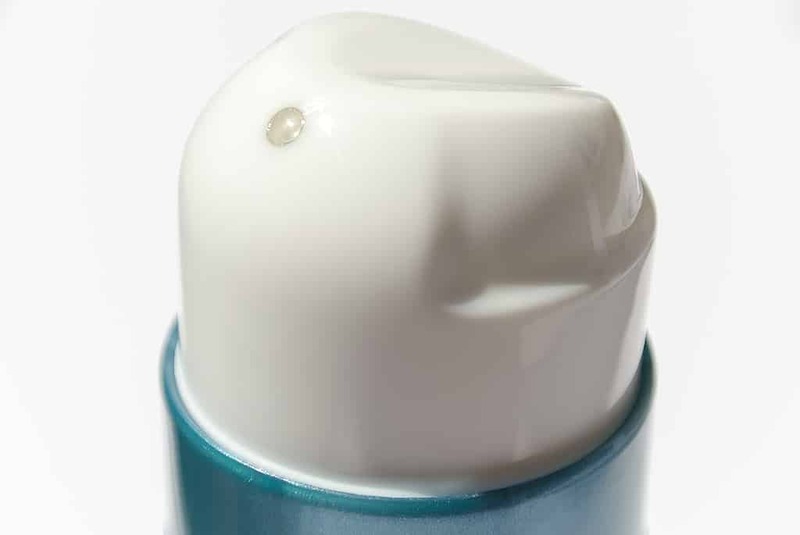 This bizarrely packaged moisturiser is a powerfully hydrating moisturiser that reduces oil, shine and sweat. Similarly to the Biotherm Homme T-Pur SOS Corrective, one of the functions of Biotherm Homme T-Pur Anti-Oil and Wet is as a facial antiperspirant, helping to reduce facial sweat throughout the day which can build up and add to the overall shine. In this lightweight gel, you’ll find seaweed that conditions the skin helps to break apart the excess surface oil; zinc works as an antimicrobial agent helping to kill spot-causing bacteria on the surface; finally volcanic rock works as a natural but powerful antiperspirant. Now one of the mattifying agents in here is Silica, or silicone, which is effective as a mattifying and smoothing ingredient but at the same time has sensitivity ‘question marks’ surrounding it; however in my opinion, it’s nothing to be that worried about and almost every brand uses it one way or another. The problem with most products designed to treat oilier skin types is that they can often be very drying and dehydrating, leaving skin feeling tight and pulled. 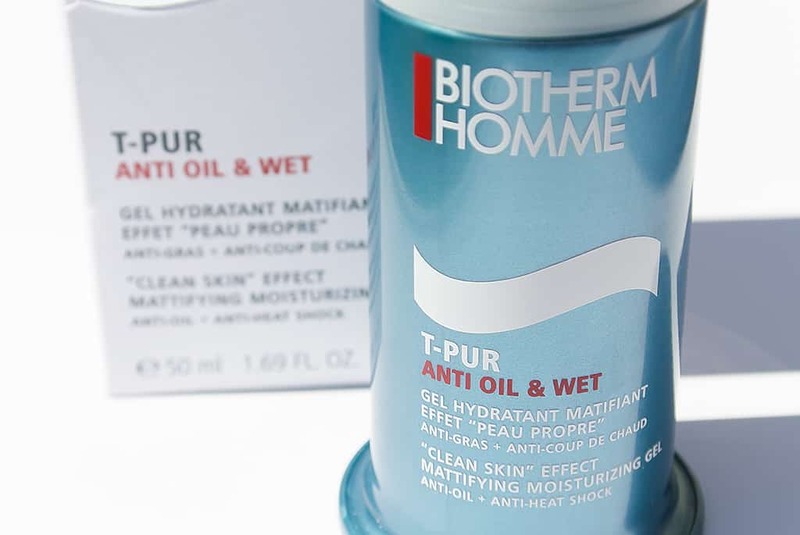 Biotherm Homme T-Pur Anti-Oil and Wet is definitely an exception to this as it really, really hydrates. When I’m being especially lazy and I’ve just thrown on my moisturiser with nothing else, this does a great job, even on my eyes (not recommended in most cases; do as I say and not as I do!). One pump is all that’s needed and it sinks in with no hesitation whatsoever. There’s no residue left on the skin, either sticky or powdery; nothing! I joke about the packaging but it is easy in the hand and stands up well in the bathroom. For the ultimate Anti-Oil and Wet experience, use this with the facial wash and exfoliating toner which you can read all about here in my review from April 2012. You can normally pick this up for £27 but at the moment you can grab it for just £24.30 at Feel Unique with free delivery. This article first appeared on MANFACE written by Thom Watson. It was published on Saturday 24th August 2013 and was last updated on Monday 3rd April 2017 at 3:30pm. It's categorised under Biotherm, Combination Skin, Enlarged / Blocked Pores, Moisturise, Oily Skin where you'll find more related content. I bought the cleanser and the moisturiser in the T Pur range and I have to say, they do nothing for me…they smell like Aqua Di Gio and are both a pleasure to use…IF you have NORMAL skin. If I had regular guy skin that gets a little oily in the Summer months I would purchase again in a heartbeat. But if like me you have persistently oily skin with blocked/enlarged pores and occasional spots then this range becomes redundant. I feel sure that these products are aimed squarely at regular guys not men with problem skin. I may keep the wash for next summer but the moisturiser is going in the bin I’m afraid…they say one pump but you get an awful lot in that pump and if anything it feels too moisturising for an oily skin type. However, it sinks in like a dream and you think “result! My days of oil slick life are banished” and then 2 hours later if anything it has made your skin look oilier than if you’d done nothing. It’s also expensive stuff for 50ml…as for the claim that it acts as an anti perspirant? Well this is plainly marketing speak nonsense. 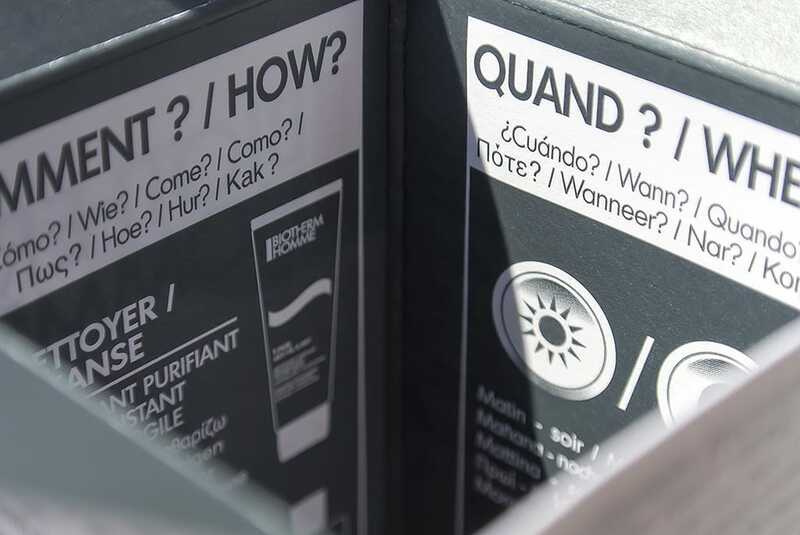 So a moisturiser that would make most guys happy, but sadly not those of us with problem skin. Thom, I know you’re a fan of Origins, ever tried the Zero Oil range? I have oily/acne skin, are those products suitable for me or should I cancel the order and go with Biotherm T-pur regimen instead? I’m not familiar with that exact moisturiser from Jack black but what I can tell you is that T-Pur has been formulated for your exact skin type. I’d recommend the facial wash, toner/astringent and the moisturiser with then then SOS cream if you feel you need it. I suppose it’s better to be safe than waste money on something that might not be all that suitable. My concern is to reduce pore sizes..
1) went to the store today and was recommended the aqua power biotherm instead of the t-pur..
2) would both products work for my pore reduction program? If not what would? 3) the salesperson said any tone from biotherm would work but since my skin is not oily I don’t need the t-pur..
I’m interested in comparison T-Pur and Clarifying Therapy of Aubrey Oragnics. The anti-perspirant aspect sounds interesting. That’s new for a face product. I’m not keen on the ‘anti-oil’ name of the product if I’m honest. It implies that oil is something of the enemy but as we both know, our skin needs oil to be healthy. Maybe ‘oil-balancing’ would have been better? True I agree. But I’d say that for most guys with oily skin who aren’t particularly in the know, anti-oil would speak to them more. I suppose it’s all just varying marketing methods at the end of the day.